10. Lubbock Natrix Natrix Records Showcase – features a slew of Lubbock bands, all great, but the highlight for you out-of-towners is gonna be the 806’s Dry Heeves, my new favorite local band. 9. Shake Some Action – Weekly Tape Deck, Friendship Bracelet, Lubbock’s Sammi Is Booking, and my boy Nick’s Indie-Verse are just a few notable people that put together this three-day party at my favorie downtown Ethiopian restaurant, featuring more Lubbock flavor…check out the Numerators, La Panza, and One Wolf. The rest of the lineup is stupid good; if you follow what’s hyped right now, you should recognize quite a few of the names on the flyer. 8. 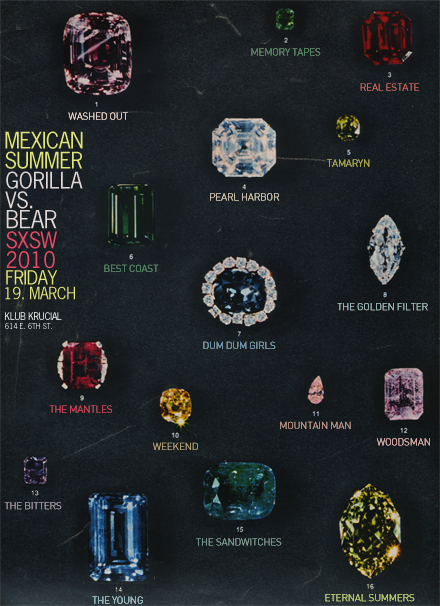 Mexican Summer/Gorilla Vs. Bear SXSW 2010 -a pretty hipster-riffic lineup, featuring The Sandwitches, the Bitters, and Dum Dum Girls. 7. 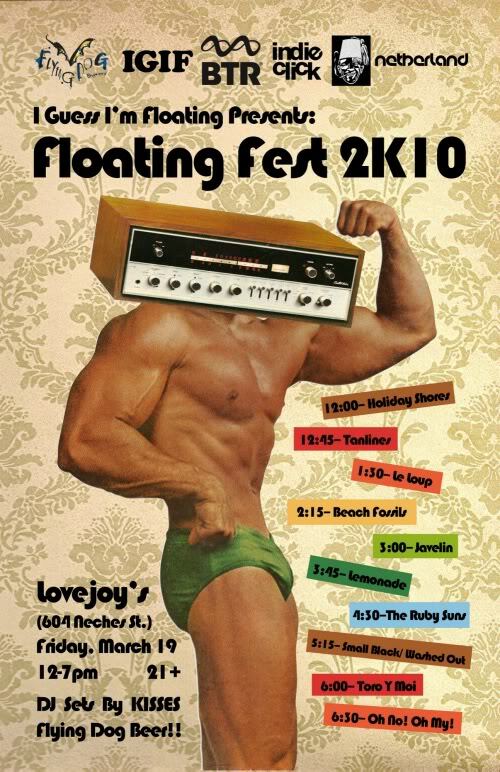 Floating Fest 2K10 – also hipster-riffic, this one’s got Tanlines, Javelin, the Small Black/Washed Out collab, and Toro y Moi. 6. 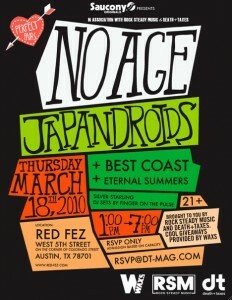 Rock Steady at SXSW – Perfect Pairs – No Age, Japandroids, and Best Coast IN A ROW?? Too awesome not to mention. 5. Todd P Cheer Up Charlies Parties – His main party is in Mexico this year, but Todd P still put together some kicking shows at the venue formerly known as Ms. Beas. 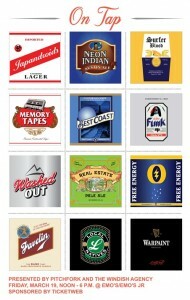 They will be curated by other people, however. The highlights: Tuesday night’s Texas Bands and Friends Party (featuring Lubbock’s Numerators), Thursday’s True Panther Sounds Party, and (I’m guessing, it hasn’t been announced yet) the Todd P/Showpaper party Saturday night. 4. Fader Fort – The lineup’s phenomenal overall, as usual, but I doubt I’ll be attending anyway. Even though it’s hard to pass up Bone Thugs N Harmony. 3. Gonna Gonna Get Down V – Austinist and WOXY have teamed up to deliver a pretty awesome Wednesday lineup to start your week off right. 2. Mess With Texas Party 2010 – The kids who bring you the always-awesome Fun Fun Fun Fest have done it again, this time at their own park with a two-day party. Which leads me to the question: what the hell is going on at Waterloo Park this year? 1. Pitchfork/Windish Party – Oh my God, you guys. 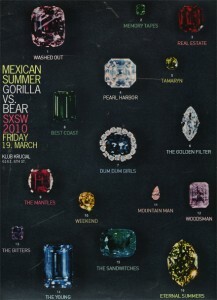 I don’t think I’ve ever seen a lineup this good – or a poster this cool. 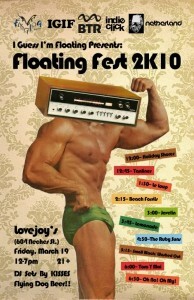 This is where I’ll be Friday afternoon, guaranteed. Austin Carniville – This looks pretty cool – great music (Major Lazer, the Walkmen, Royal Bangs) at a mini-carnival with rides and candy and booze. It’s like a Gathering of the Juggalos without all the terrible stuff. Feedback Party – Rachel Ray’s party has a prettygood lineup this year, and the food, of course, will be great. Brooklyn Vegan and M For Montreal Day Party – This lineup is pretty legit, and it’s just one of seven (!) shows Brooklyn Vegan has put together for the week. Ramble Creek Day Party – If you’re looking for a more laid-back show with killer music in the alt-country vein, this party’s got you covered – Telegraph Canyon, Monahans, and Lubbock’s own One Wolf are all on one bill. 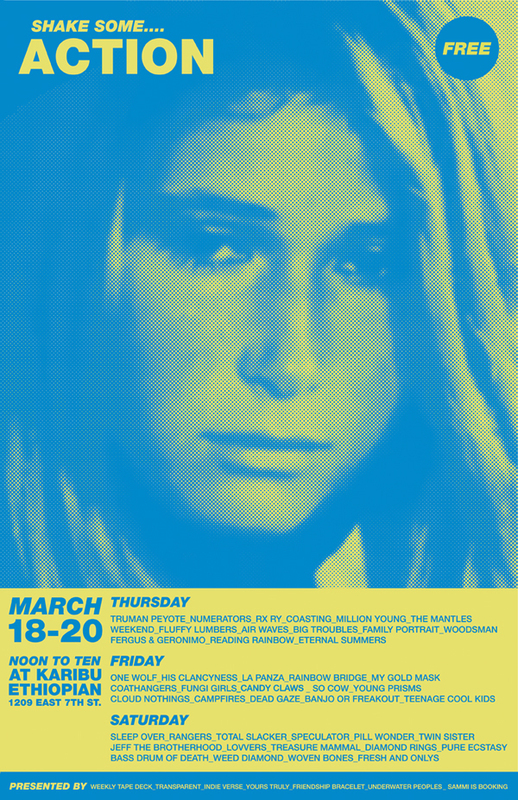 Ale Houe Showcase – Telegraph Canyon is also playing this official SXSW show, but I couldn’t post this blog without talking about Lubbock’s Thrift Store Cowboys, who will likely be playing new killer tracks from their just-recorded fourth album. This entry was posted on Monday, March 15th, 2010 at 6:46 pmand is filed under . You can follow any responses to this entry through the RSS 2.0 feed. You can leave a response, or trackback from your own site.